The Netherlands have been part of the Great Escape since the very start, and this year this Northwestern corner of Europe returns to Brighton with the latest crop of the country’s most prominent rising stars representing a variety of genres, from hip hop to 90s infused indie pop and art rock existentialism. 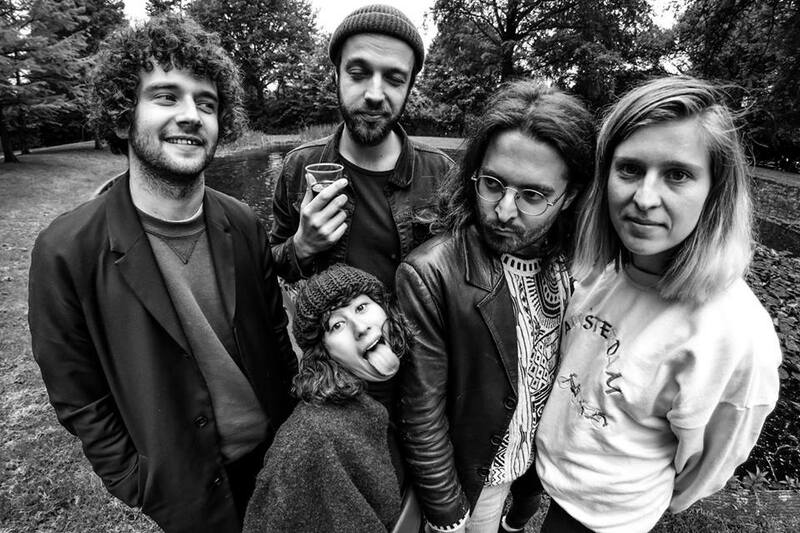 Recent addition to the Heavenly Recordings roster, Pip Blom leads the Dutch charge following their success on the BBC Music stage at last year’s Great Escape and recent performances at SXSW in Austin. Also part of the Dutch Impact SXSW selections, BEA1991 has already attracted critical attention from the likes of The Fader, Gorilla vs Bear and The Guardian with her special brand of louche sonic experimentalism and emotional raw vocals. Last Januari Dutch EUT were most recommended by the media at ESNS 2019. This year, EUT are taking their youthful 90s flavoured post pop to Brighton. Describing themselves as “trippy electro hiphop lovebaby”, FATA BOOM is a collaborative project of two Dutch artists whose recent debut LP and flamboyant shows prompted comparisons to the likes of M.I.A., Die Antwoord and Gnucci. Hailing from the port city of Rotterdam, Lewsberg’s nihilistic rock poetry is reminiscent of college rock tradition in the manner of Modern Lovers, Talking Heads and Velvet Underground. Their recent self-titled LP triumphed across the UK media, with top reviews from tastemakers like Gigwise and The Line of Best Fit. Finally but by no means least is the Mauskovic Dance Band, who effortlessly mix synthesisers Afro-Latin rhythms and slice guitar riffs to create a contemporary sound rich with cultural influence. The band have been gaining momentum with the launch of an EP coinciding with their performance at ESNS and have received praise from NTS, Worldwide FM and The Quietus. Amsterdam-based producer Jarreau Vandal is part of independent music collective Soulection, known for his eclectic DJ sets and bangin’ edits of Rihanna’s “Work”, Ella Mai’s “Boo’d Up.” and more recently sampling Kanye West’s “Sunday Service” on a new track with Denzel Curry. Jarreau has also featured in the likes of Noisey, Dummy, Clash, Highsnobiety, NTS and BBC 1 Xtra and has been confirmed to play at Sonar in Barcelona. Another artist releasing new material is London-based, Dutch-Zimbabwean pop innovator Rina Mushonga. Her recent album “In A Galaxy” has already received praise from Independent, The Times, Pitchfork, The Line Of Best Fit and weaves a glittering constellation of warped synths, Afropop rhythms and addictive, soul-lifting vocal harmonies. The Dutch Impact Party will take place on Friday, May 10th from 12:00 – 16:00 in Komedia (Main). More info and set times coming soon. Independent artist and musical polymath BEA1991 has split her time between Amsterdam, London and NYC, experimenting with a variety of disciplines that have led to the release of two critically lauded EP’s as well as tours and close relationships with musical allies Blood Orange, Porches, Kirin J Callinan and Sega Bodega. She garnered a reputation for a powerful and emotive live experience, where she has additionally received attention for her experimental art exhibitions, all whilst recording her debut album. Bursting onto the independent music scene with a bold new attitude, Amsterdam’s EUT bring a fresh dose of energy to 1990s nostalgia. Drawing on influences from bands such as the Pixies, Yeah Yeah Yeahs, Blur, Weezer, Hole, Wilco and Beck, EUT met at art college in 2016 and haven’t looked back since. Fronted by charismatic whirlwind front woman Megan de Klerk, the band crafts beautifully written songs with captivating melodies, catchy pop hooks and immediate lyrics about youthfulness and growing up. The band started to make waves internationally after playing packed shows at the last editions of Reeperbahn Festival in Germany and Les Transmusicales in France. Their sparkling new indie-pop single ‘Supplies’ was picked up by BBC Radio 1’s Jack Saunder’s as a ‘Next Wave’ track. FATA BOOM is the unborn hip hop love-baby of two dutch artists who found each other during the 3FM-awards of 2016. They secretly met up for some writing-sessions and thought their tracks would never leave their underground studio. It’s not until someone discovered their music and got real enthusiastic about them that they decided to release them…The act played their first show at Melkweg Amsterdam and their second at the prestigious Eurosonic Noorderslag Festival At the Oosterpoort. In 2017 & 2018 Fata Boom played over a 100 shows, including Down The Rabbit Hole (twice), Wildeburg Festival, Milkshake, Amsterdam Dance Event and supported acts like Little Big. In October 2018 Fata Boom released their debut album ‘Constricted’ and played their first headline show at a sold out Paradiso Amsterdam. Jarreau Vandal is somewhat of a household name for those that have been binging on Soulection for the past few years. Be it Masego, IAMNOBODI or Monte Booker, the international network, friendships and collaborations Vandal has amassed through the collective have proven to be invaluable. However, his musical adventures pre-dating Soulection years are not as well known. Born in Maastricht, Vandal has been producing since the age of 16. Practice makes perfect, and, a decade later, the 26-year old is enjoying a cult following in Europe, North America and Asia. Rotterdam’s Lewsberg are a four-piece rock group named after writer and fellow Rotterdammer Robert Loesberg, famous for his dangerous novel Enige Defecten from 1974. Drawing inspiration from the counterculture and big-city cynicism of the 1960s and 1970s, Lewsberg released their self-titled debut LP in the Netherlands in 2018. Nine rudimentary and repetitive rock songs, full of a tough, nonchalant intensity. The English lyrics, delivered with a heavy Rotterdam accent, show a tendency towards existentialism and black humour. The album was re-released worldwide in January 2019. Indie-rock sensation Pip Blom already made quite a name for themselves in their short period of existence. They’ve played more than a hundred gigs rising from small pubs to the European festival circuit – as well as being asked by the likes of Surfer Blood, Franz Ferdinand and The Breeders to join them on their various European tours. The band’s energetic live show quickly pricked the ears of press and radio – with BBC 6 Music A-listing recent singles ‘I Think I’m In Love’ and ‘Pussycat’. “Man was made to hold his head erect in majesty and see the sky, to raise his eyes to the bright stars above,” the Roman poet Ovid wrote in 8AD, in his Latin literary epic Metamorphoses. You don’t need to tell this to Rina Mushonga. The London-based, Dutch-Zimbabwean pop innovator, whose new album In A Galaxy was part inspired by Metamorphoses, is full of reflections on the cosmos and our place in it. “The title refers to how relative space and time are in how we perceive and judge each other,” she explains of her follow-up to 2014 debut The Wild, The Wilderness. “Earth viewed as part of a galaxy binds us in our humanity.” The universe is infinite in its expanse, as Ovid observed. Mushonga’s In A Galaxy weaves into a glittering constellation of warped synths, Afropop rhythms and addictive, soul-lifting vocal harmonies the suggestion that we’re all specks of dust floating through that expanse, whose differences seem insignificant up against that truth.